Hello! Welcome to Eigoru English Online School. 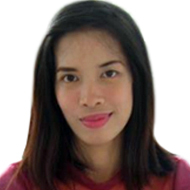 This is Teacher Aubrey from Philippines and i am 31 years old. I took Bachelor of Science in Management and Bachelor of Science in Nursing at Our Lady of Fatima University. I worked in a business process outsourcing company for almost 5 years. I love singing cooking and reading books. I am patient friendly and a loving person. I also have a passion for teaching. In fact I have been teaching my cousins and sister in college and in high school for quite sometime and also my niece attending elementary as well as my daughter with her classmates in grade school. I prefer to teach Beginners and Intermediate students ages 3 years old and above. I can help you study basic English Grammar, Vocabulary, Conversation and Comprehension and we can also work with your reading, listening, speaking and writing skills. I am willing to assist you at all times. What are you waiting for come and let us learn English in an easy and fun way.